In 1986, after graduating from the Delhi University, Narendra did not choose the obvious path that was laid out for him. He did not want to join his family business of grain trading, as the prospects didn’t excite him enough. He wanted to explore new business opportunities and he did just that. He started with the delivery of cordless phones. Back then, the concept of pickup and delivery was unique. He opened a shop at Naya Bazar in the hustling bustling Chandni Chowk area of Delhi. He started with advertising in newspapers and assured customers of returns if they were not satisfied with the services. The business did work, but it did not suffice appropriate financial needs and hence he explored another opportunity. He started selling floppy discs, but that too did not survive for a long time, then he got into putting pictures on key chains and started selling them. This business proved better than the others in terms of survival but offered little chance by the way of growth. He continued with his hits and trials till 1996. 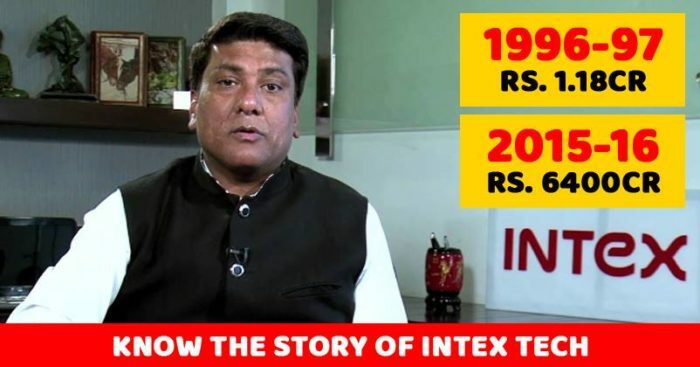 Then with a savings of mere Rs 20,000, he started the business of selling Ethernet cards and the brand name Intex was incepted. Intex Technologies was an IT company into peripherals and soon started manufacturing products like multimedia speakers, DVD players, and home theater solutions. Major success came from the speaker manufacturing. Soon realizing the dynamics of the telecom Industry, Intex entered the market in 2007 and got into the manufacturing of mobile handsets. Intex was one of the early players to get into this market and they brought in the smartphone experience for consumers across different price ranges. The company saw a growth of 81% and went to clock in a revenue of 6,400 crores in 2015-16. 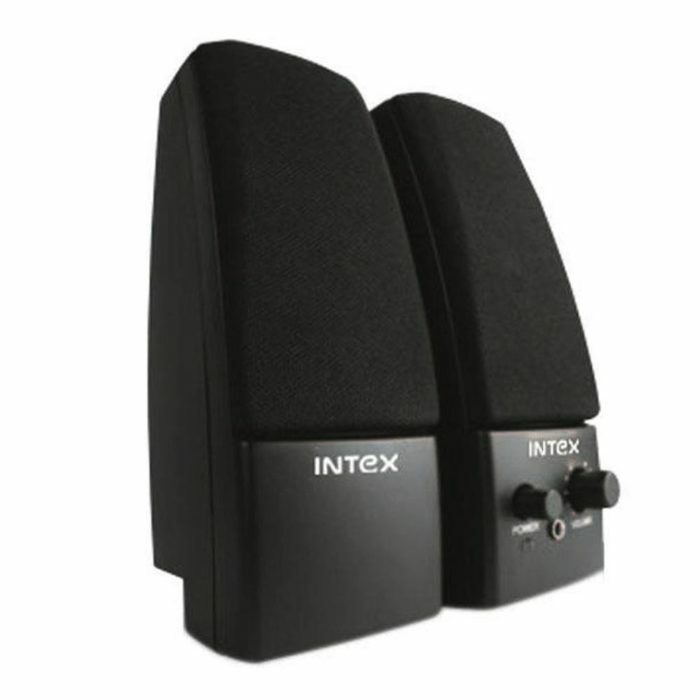 Even today, Intex is a leader when it comes to speakers, UPS and power banks. 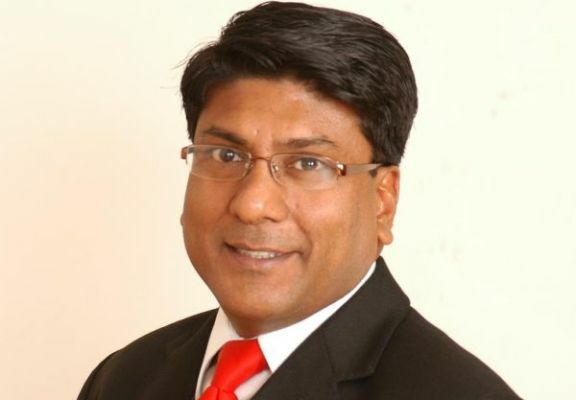 The major challenges Intex faced included setting up infrastructure, finding skilled labor, dealing with taxes and import duties, capital costs, land acquisition, and partnerships. Currently, the mobile industry is going through a lot of changes in terms of acceptability, marketing spends, and the demands of the customers. The main challenge today is the rapidly changing needs of mobile users. The Chinese mobile market has compelled India mobile makers to rethink their strategies because of the low price point they are playing at. However, Narendra feels it is a healthy competition that works in their favor as they have been in the industry for longer than most of the newer brands and have a better understanding of customers and their needs. They are constantly innovating their product portfolio and are diversifying in areas including medical tourism, interiors, and office furniture, e-commerce and real estate. 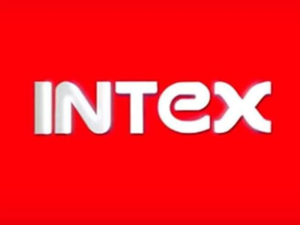 Intex saw its sales plunge 30% to Rs 4,364.08 crore in the year ended March 2017 after the disruption caused by the entry of Reliance Jio and because of demonetization. Net profit declined 17% to Rs 127.3 crore. But the company expects revenue to stabilise this fiscal year, helped mainly by its growing consumer durables business.